Songs of Eretz Poetry Review: New Poem: "Crack Rolls"
"Crack Rolls" is the next installment in my poetic memoir, A Wave of Poetry. Living conditions aboard a Navy ship, even for officers and even on ships as big as the Essex or Lincoln, are cramped, and the daily routine is monotonous. A saving grace is the food, which is excellent by any standard. 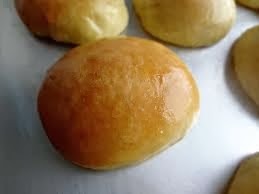 The dinner rolls were particularly amazing--I have not had better before or since.